Below is a list of confirmed public concert dates for 2011. See also private events. Wednesday, January 26, 7 pm, Command Performance for the Consulate General of India of a Guitar-Sitar Jugalbandi featuring Pandit Habib Khan (sitar), Matthew Montfort (scalloped fretboard guitar), and Arshad Syed (tabla), Palace of Fine Arts, 3301 Lyon Street, San Francisco, CA 94123. By invitation only. 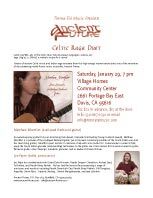 Saturday, January 29, 7 pm, Ancient Future Celtic Raga Duet with Matthew Montfort and Joe Fajen (tabla, percussion), TimnaTal Music Presents at Village Homes Community Center, 2661 Portage Bay East, Davis, CA 95616. Tix: $12 in advance, $15 at the door. Info: 530-867-1032 or email info@timnatalmusic.com. Download concert poster: 1_29_11timnatal.pdf. Facebook Event. Full Press Release. Friday, March 18 (canceled due to Highway 1 Big Sur slide closure), 8:30 pm, World Music Weekend Workshop Retreat with Matthew Montfort, Esalen Institute, Highway 1, Big Sur, CA 93920. $360 to. Cost: $360 to $695 depending on housing. Contact Esalen for housing options. Reservations: 831-667-3005. Reservations: 831-667-3005. Fax: 831-667-2724. Email: info@esalen.org. 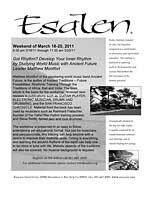 Download event poster: Esalen3-18-11.pdf (628 k). Full Press Release. Facebook Event. Saturday, March 19 (canceled due to Highway 1 Big Sur slide closure), 8 pm, Global Guitar performance as part of the World Music Weekend Workshop Retreat with Matthew Montfort, Esalen Institute, Highway 1, Big Sur, CA 93920. Free to Esalen attendees. Full Press Release. Sunday, March 20 (canceled due to Highway 1 Big Sur slide closure), 7 pm, Ancient Future Duet In Concert, featuring Matthew Montfort (scalloped fretboard and fretless guitars) and Mariah Parker (santur), The Henry Miller Library, Highway 1, Big Sur , CA 93920. Tix: $20 adv/$25 door. Seating is limited to 60. Advance purchase recommended at www.henrymiller.org/events.html or call 831-667-2574. Download event poster 3_20_11_henrymiller.pdf (400k). Full Press Release. Wednesday, April 20, 7 to 10 pm, Ancient Future Hammered and Picked Duet featuring Matthew Montfort and Mariah Parker, The Panama Hotel & Restaurant, 4 Bayview St., San Rafael, CA 94901. Info: 415-457-3993. 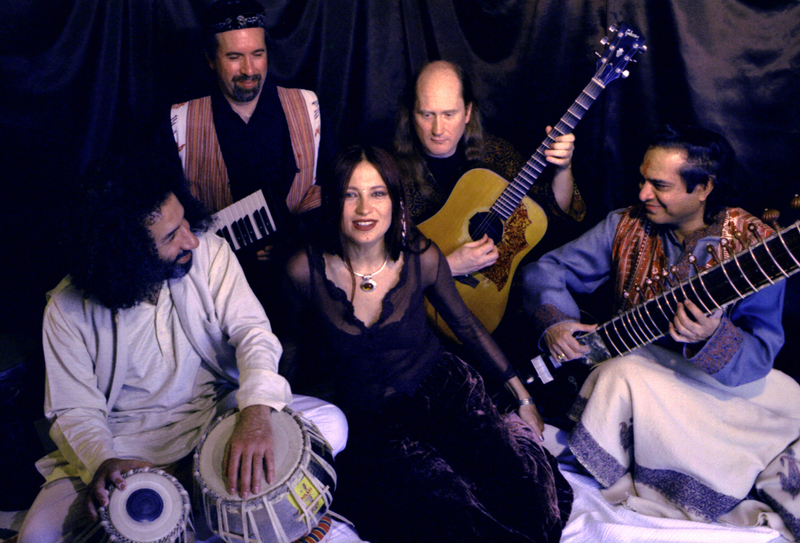 Friday, May 13, 7 pm, CCSF World Music Club Presents Ancient Future Arabic Beats program featuring Matthew Montfort (scalloped fretboard guitar) Georges Lammam (Arabic violin), Salaheddin Takesh (percussion), and Doug McKeehan (keys), Diego Rivera Theater, City College of San Francisco, 50 Phelan Avenue, San Francisco, CA 94112. Saturday, May 14, 3 to 4 pm, Ancient Future Duet featuring Matthew Montfort (scalloped fretboard guitar) with Ferhan Qureshi (tabla), Himalayan Fair, Live Oak Park, 1300 Shattuck Ave., North Berkeley, CA 94709. Info: 510-869-3995. Sunday, June 5, 8 pm, Acoustic Guitar Summit featuring Matthew Montfort, Teja Gerken, Steve Baughman, Pete Madsen, Patrick Landeza, and Jon Mendle, Freight & Salvage, 2020 Addison Street, Berkeley, CA 94704. Info: 510-644-2020. Tuesday, June 7, noon to 1:15 pm, Ancient Future Reunion (lineup that recorded World Without Walls and Asian Fusion), City of Concord Free Summer Concerts, Todos Santos Plaza, Concord, CA 94520. Tuesday, June 7, 8 pm, Ancient Future Reunion (lineup that recorded World Without Walls and Asian Fusion), Yoshi's San Francisco, 1330 Fillmore St., San Francisco, CA 94115. Tix: $16 in advance, $20 at the door. Info: 415-655-5600. Full Press Release. Saturday, August 6, 8 pm, Ancient Future Trio featuring Matthew Montfort, Mariah Parker, and Faisal Zedan, Benefit Concert for UCO Lick Observatory, Main Building Hall, Mount Hamilton, CA 95140. Adm: $40 general seating, $100 preferred, $150 VIP. Tix: UCSC ticket office 831-459-2159 after May 1. Info: 408-274-5061, www.ucolick.org. Saturday, August 20, 3 to 10 pm, Bazaar Cafe Guitar Showcase 10th Anniversary Show/Party with more than 20 performers, including Matthew Montfort (performing at 7:30), Bruce Victor, Jeff Titus, Doug Young, Giacomo Fiore, Mokai, Kyle Alden, Doug Adamz, Brian Kolner, and many more, Bazaar Cafe, 5927 California St., San Francisco, CA 94121. Wednesday, September 14, 9:00 pm, Acoustic Guitar Showcase featuring Matthew Montfort, Jeff Titus, and Teja Gerken, The Sleeping Lady, 23 Broadway, Fairfax, CA 94930. No cover. Info: 415-485-1182. Facebook Event. Saturday, September 17, 8 pm, Ancient Future Trio 9-11 Mitigation Benefit Concert featuring Matthew Montfort, Mariah Parker, and Salaheddin Takesh, Acoustic Vortex, Larkspur, CA 94939. Email bruce@acousticvortex.com for an invitation. Thursday, October 6, 8 pm, Mariah Parker's Indo Latin Jazz Sextet with Mariah Parker (piano, santur), Paul McCandless (woodwinds, horns), Matthew Montfort (guitars), Fred Randolph (double bass), Ian Dogole (percussion), and Brian Rice (percussion), 142 Throckmorton Theatre, 142 Throckmorton Avenue, Mill Valley, CA 94941. Tix: $18. Info: (415) 383-9600. Saturday, November 5, 6 pm, Benefit Concert for Shrishti academy for Special Needs Children, Indian Jazz featuring Pandit Habib Khan (sitar), George Brooks (sax), Mohammad Nejad (violin, santur), Matthew Montfort (scalloped fretboard guitar), and many other top musicians, Spangenberg Gunn High School, 780 Arastradero Rd, Palo Alto, CA. Tickets can be purchased at: Ashanet.org. Wednesday, January 12, 7:30 pm EST, WorldStreams.org airs a 2010 compilation show featuring Matthew Montfort, Mariah Parker, George Brooks, and many other world music artists. Saturday, January 15, 5 pm, Gil Medovoy interviews Matthew Montfort, KDVS, 90.3 FM, streaming live online at www.kdvs.org, Davis , CA 95616. Thursday, October 21, 2010, 1Matthew Montfort and Mariah Parker performed a live studio performance and interview on Bryan Chandler's show on KUSF, 90.3 FM, San Francisco, CA 94117. Listen to the archived show at kusf-archives.com.